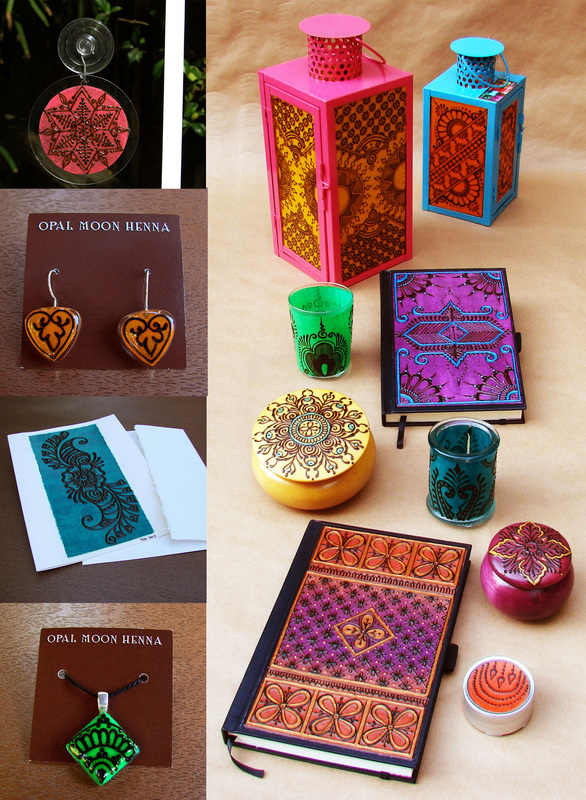 Hennaed Artifacts by Opal Moon Henna. Top Left: Hennaed Suncatcher. 2nd Left: Hennaed Glass Heart Earrings. 3rd Left: Hennaed Acid Free Art Card. 4th Left: Hennaed Glass Pendant. Right: Lanterns, Candle holders, Journals, Wooden boxes and tin. (C) All images, patterns and products Opal Moon Henna 2012-2016.